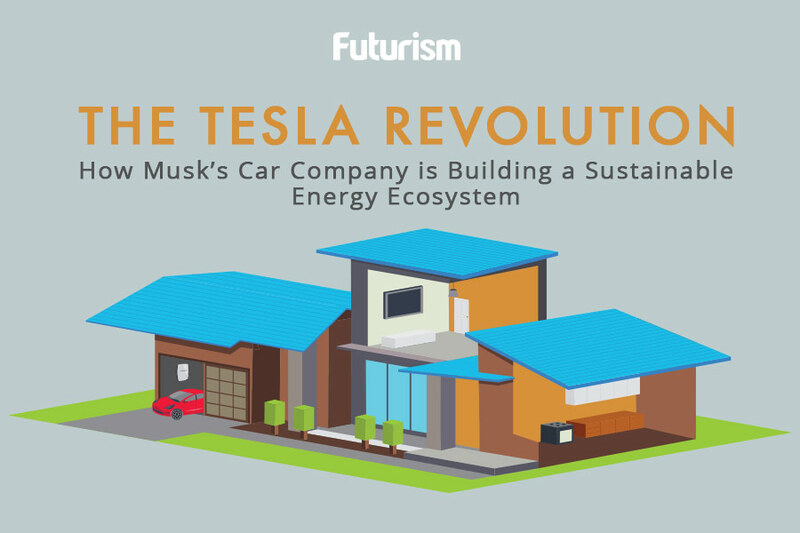 The future of solar is in Elon Musk's hands. When Tesla announced their intention to acquire SolarCity in June of 2016, the electric vehicle (EV) manufacturer’s stock plummeted. Shares dropped as much as 10 percent, and the company’s value took a $3 billion hit. And, despite Tesla CEO Elon Musk’s assertion that the move was sound, experts were skeptical, to put it mildly. Now, a mere eight months after Tesla’s SolarCity acquisition was approved, the company has emerged as a world leader in solar technology. Of the many advancements, a massive Tesla solar farm is bringing power to an entire Hawaiian island, and government leaders are asking Musk to help solve their nations’ energy crises. Traditionally, homes with solar panels are still connected to the electrical grid. Any extra electricity generated when the Sun is shining is sold to the utility company to power neighboring homes, and when the solar energy system isn’t producing electricity (for example, at night or when the weather is inclement), the homeowner simply draws power from their utility company. Tesla’s Powerwall is upending this relationship. These wall-mountable home batteries integrate seamlessly with Tesla’s solar roofs, giving users the ability to bank any surplus electricity generated by their system and use that energy instead of relying on the utility company when the Sun isn’t shining. Right now, one Powerwall 2 battery can store 14 kWh of energy, a little less than half of what the average person in the U.S. uses daily, according to Business Insider. As many as 10 batteries can be used on one system to increase the storage capacity, but even with a maxed-out system, a homeowner would still be at risk of being without power if they were hit with a week of inclement weather. Additionally, while a homeowner could save money in the long run with a Powerwall system, the upfront cost is steep — $5,500 per Powerwall 2, plus installation fees. Tesla is determined to bring this cost down and make their battery technology more widely available. They recently teamed up with Panasonic to begin mass-producing battery cells at their Nevada Gigafactory, which should help to lower costs. Additionally, the research team developing Tesla’s next-generation of battery cells found a way to double their lifetime four years ahead of schedule. This means that a one-time Powerwall 2 purchase could lead to decades of energy storage. The impact of affordable, long-lasting, high-capacity battery technology will dramatically influence the future of solar power, according to Balasubramanian, who predicts that Americans will appreciate the low-cost and freedom afforded by Tesla’s all-in-one home energy system. “All of the projections that we are making [about solar adoption] are based on status quo, which is solar pumping electricity into the grid. The moment people can go off grid anywhere in the country, that massively changes the equation,” he asserts. The impact of widespread solar energy adoption will extend far beyond saving people money on their energy bill. Already, the solar industry is a major job creator, adding 50,000 new positions to the U.S. economy in 2016 — a rate 17 times faster than the rest of the economy. According to a report from the U.S. Department of Energy, if even 27 percent of the nation’s energy demand was met by solar by 2050, we could reduce water scarcity, prevent hundreds of billions of dollars of carbon-related damage to the environment, and dramatically lower healthcare costs.